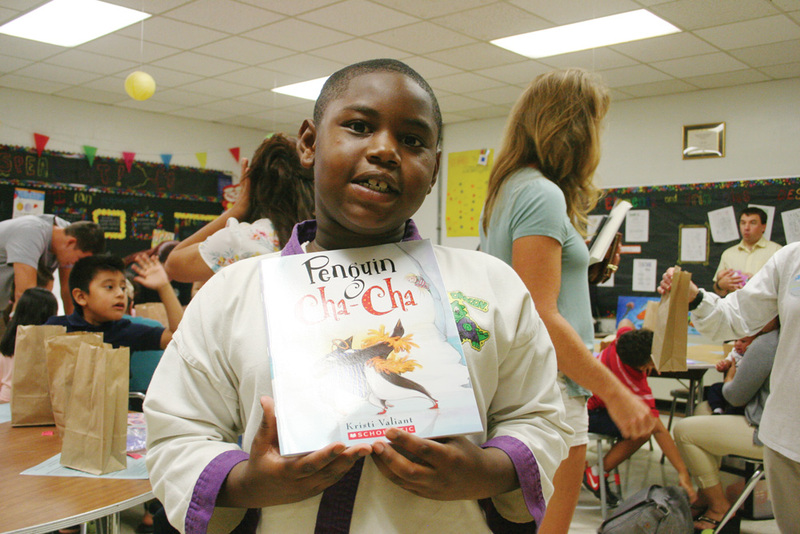 Noeh Rayne won a free book at the Family Reading & Math Night at the Phillip C Showell Elementary School. German and Jacklyn Temaj reading directions. 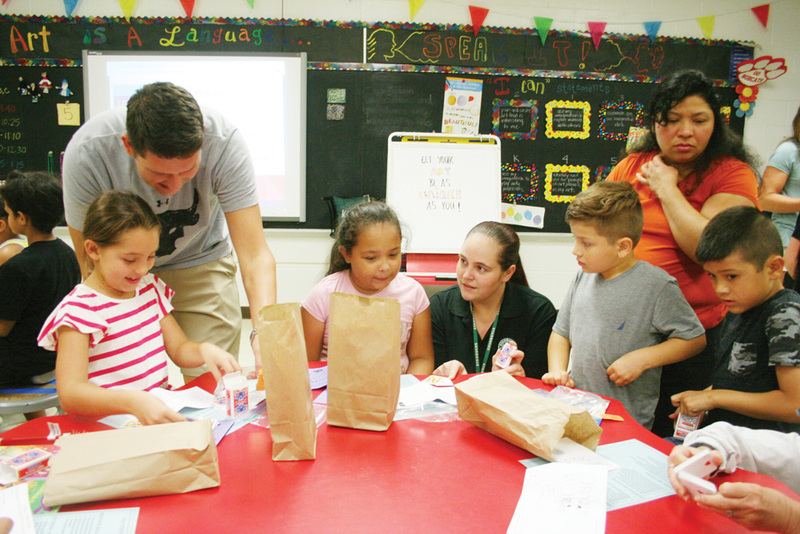 Students do math activities, including Madison Dorman, Haley Trott, her mom April Williams, Noah Cruz-Hill and third-grader Justin Cruz-Hill. 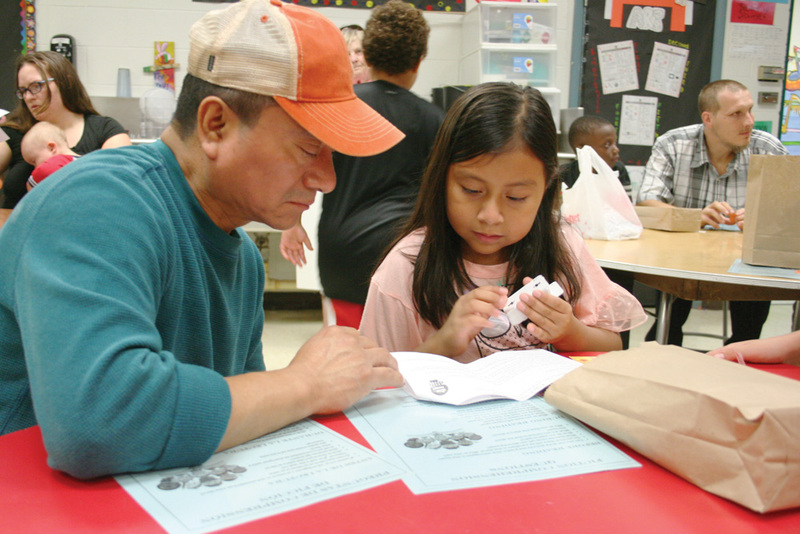 Phillip C. Showell Elementary School invited parents into the classroom for the Title I Family Reading & Math Night on Oct. 10. After pizza and the book fair, PCS staff revealed the “One School, One Book” novel of the year: “The World According to Humphrey,” the first in a series by Betty G. Birney. This year, the entire school will pause on Fridays to read this book, either together as a class, or sometimes with guest readers. In the second-grade classroom, parents also got tips for reading with their children, such as questions to ask while reading the novel, plus fun math activities, such as measuring a pet dog. Children did math games and took home a hamster-themed craft.